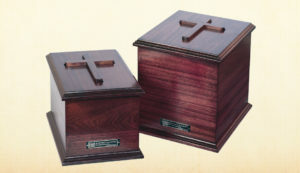 The Cherry Abbey Urn in Cherry Finish is built of black cherry hardwood. Black cherry wood is a rich reddish-brown color and is a strong, hard and close-grained wood. 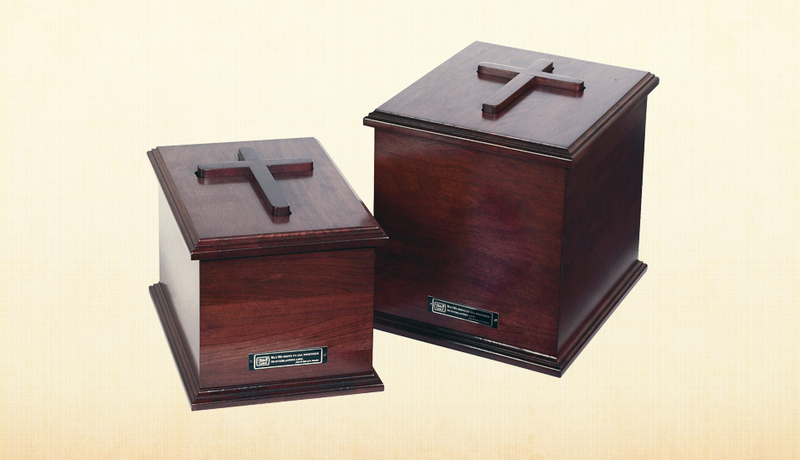 Each urn is hand wiped with a dark cherry stain, giving this urn a rich appearance similar to mahogany. Available in both single and companion sizes. Custom engraving: $20 per cross. 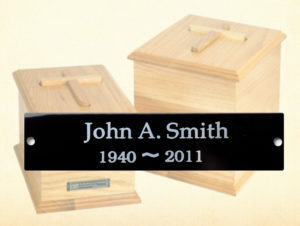 Custom nameplate can be added to the urn: $20 per nameplate. 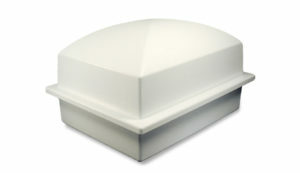 Styles: Single urn is designed for the cremated remains of a single adult. 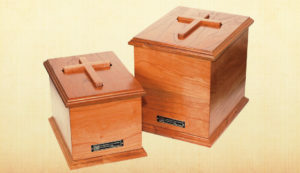 Companion urn designed for the remains of 2 adults. 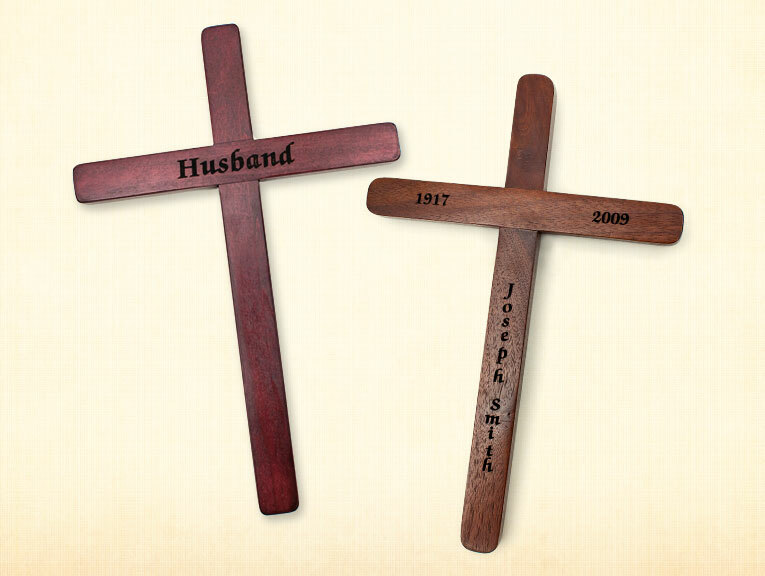 Additional keepsake crosses for family members are available for $20. 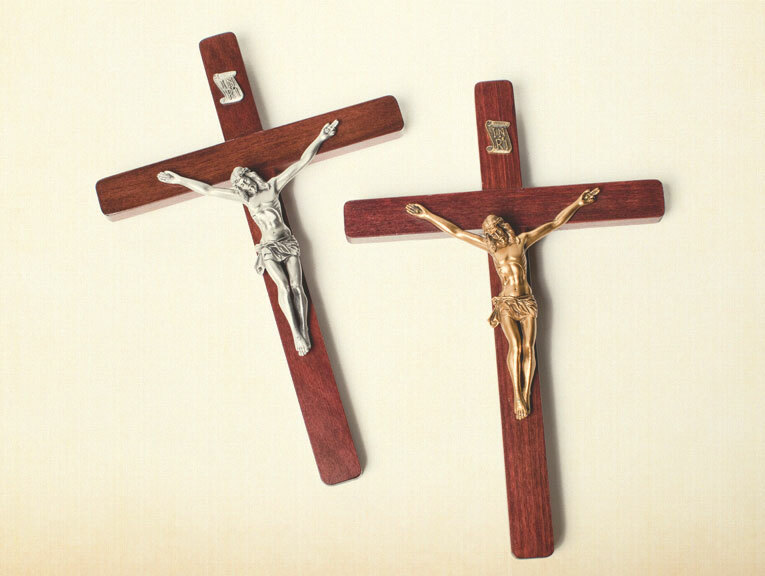 Gold or Silver Corpus added to cross included with urn: $20 per cross. 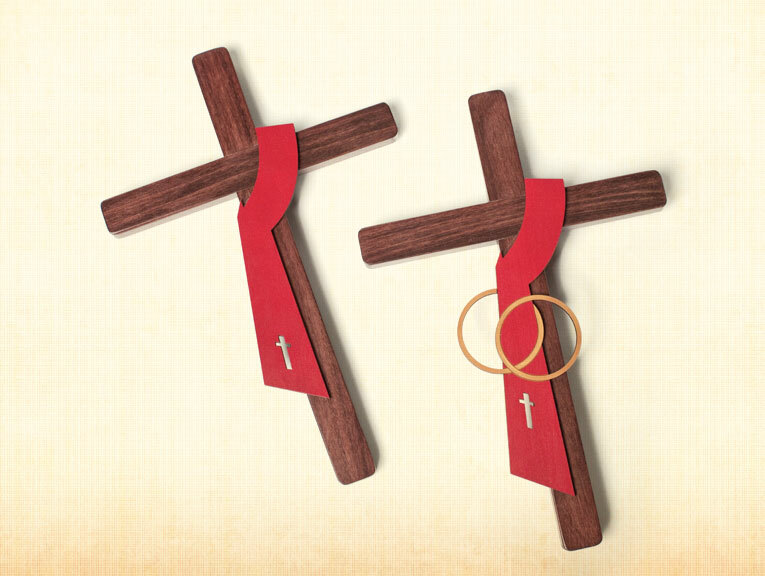 Deacon or Deacon Wife sash added to cross included with urn: $15 per cross. End Plaque: Standard plaque on each urn reads: May He bring us all together to everlasting life. From the Rule of St. Benedict. Shipping & handling by common carrier is included with price. FedEx Next Day or 2nd Day shipping can be selected during checkout for an additional fee. 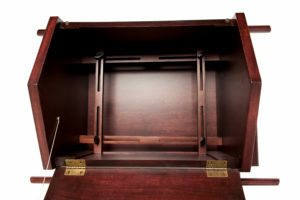 Dear Abbey Caskets, Your caring staff, craftsmanship, and before and after support was a God send. My entire family is so impressed with your service and ministry. Thanking God for you. The quality of the urn was very lovely with excellent construction. The crucifix on the top was beautiful. The urn was simple and beautiful. We received comfort from the prayers for our loved one and greatly appreciated that. Thank you and God bless you. 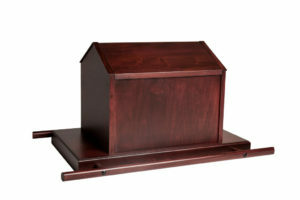 At the time I ordered this urn we were pushed for time, the call was handled very professionally and with sincere compassion in our time of confusion and necessary decision making. We received our order the next day. The quality was beautiful. The service sincere! Our satisfaction beyond expectations. Thank you.